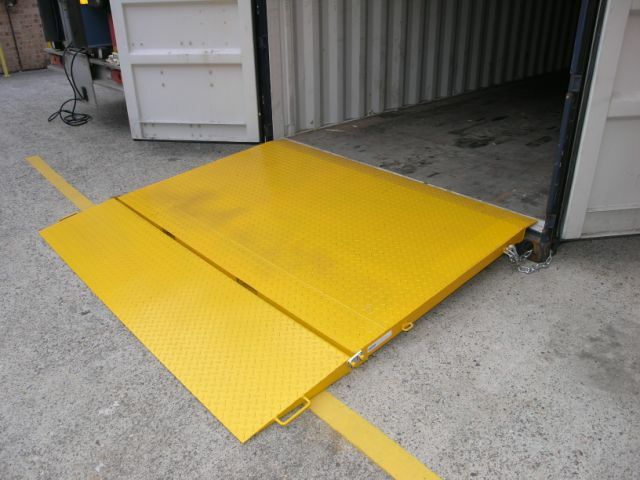 Designed primarily for bridging into a standard container from ground level, this is our most popular ramp. 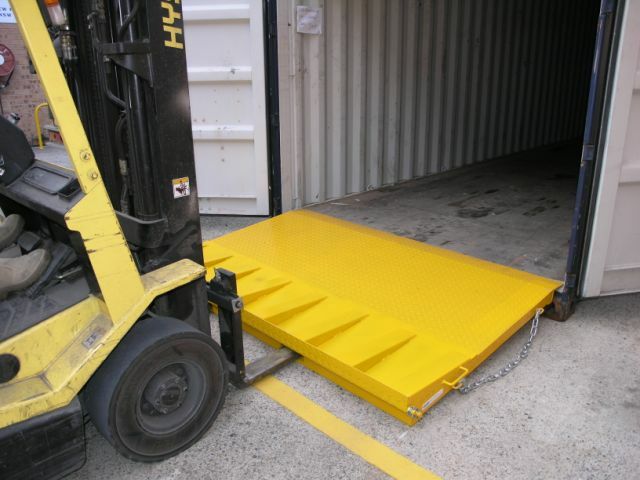 The CRN65 ramp can also be used for vehicle loading from a raised dock. 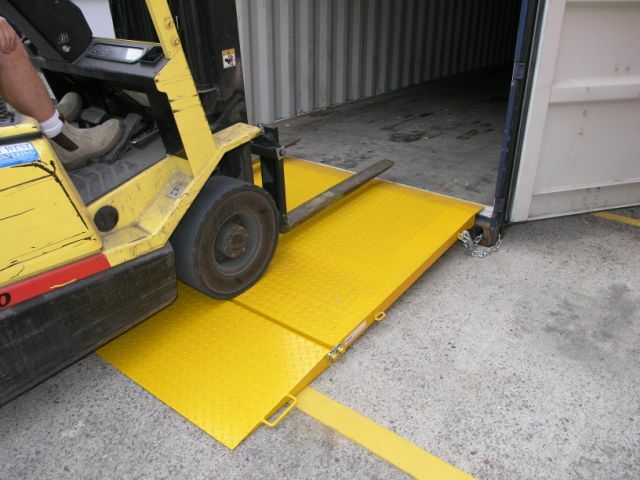 The self-levelling lip allows for full load capacity when on slightly uneven ground. 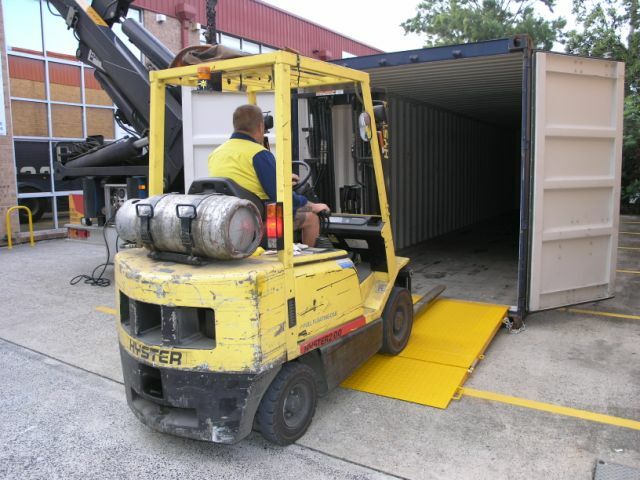 The standard finish is enamel painted “Safety Yellow”.